Born in Peoria on October 30, 1986. Ordained on May 24, 2014. 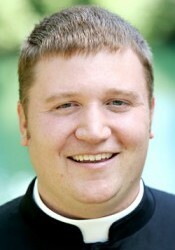 Parochial Vicar at Blessed Sacrament in Morton (2014); Chaplain, Peoria Notre Dame High School 2017.